How is XDR TB spread? Why is XDR TB so serious? Who is at risk for getting XDR TB? How can I prevent myself from getting TB? Can the TB vaccine (BCG) help prevent XDR TB? If I have regular (drug-susceptible) TB, how can I prevent getting drug-resistant TB? Can XDR TB be treated and cured? What are the symptoms of XDR TB? What should I do if I have been around someone who has XDR TB? How long does it take to find out if you have XDR TB? Is XDR TB a problem in the United States? How many cases of XDR TB have been reported in the United States? Is it safe to travel where cases of XDR TB have been reported? What can health care providers do to prevent XDR TB? Are immigrants putting the U.S. at increased risk for TB? Why haven't we heard about XDR TB before now? What is CDC doing to prevent XDR TB from becoming a bigger problem? Extensively drug-resistant tuberculosis (XDR TB) is a relatively rare type of multidrug-resistant tuberculosis (MDR TB). It is resistant to almost all drugs used to treat TB, including the two best first-line drugs: isoniazid and rifampin. XDR TB is also resistant to the best second-line medications: fluoroquinolones and at least one of three injectable drugs (i.e., amikacin, kanamycin, or capreomycin). Drug-susceptible (regular) TB and XDR TB are spread the same way. TB germs are put into the air when a person with TB disease of the lungs or throat coughs, sneezes, speaks, or sings. These germs can float in the air for several hours, depending on the environment. Persons who breathe in the air containing these TB germs can become infected. Because XDR TB is resistant to the most powerful first-line and second-line drugs, patients are left with treatment options that are much less effective and often have worse treatment outcomes. XDR TB is of special concern for persons with HIV infection or other conditions that can weaken the immune system. These persons are more likely to develop TB disease once they are infected, and also have a higher risk of death once they develop TB disease. In May 2007, the U.S. Centers for Disease Control and Prevention(CDC) issued an order to quarantine a man who flew on two transatlantic flights with a rare, dangerous form of tuberculosisand potentially exposed passengers and crew to the infection. The Atlanta man was believed to be infected with the form of the tuberculosis bacteria known as "extensively drug-resistant" TB, abbreviated XDR TB. Tuberculosis is a bacterial infection that primarily affects the lungs, and the infection is spread via air droplets released during coughing, spitting, sneezing, or talking. XDR TB causes the same symptoms that a person would develop with TB. If TB disease is present, cough and feverwould be the predominant symptoms. XDR TB is a rare form of the disease that is resistant to the drugs routinely used to treat tuberculosis infections and is extremely difficult to treat. The few treatment options available for XDR TB are less effective and associated with worse outcomes than traditional antibiotic therapies for TB. In 2006, there were two documented cases of XDR TB in the U.S.
Health authorities were aware of the man's condition and had warned the man against traveling, but he stated that compelling personal reasons led him to fly from Atlanta to Paris on May 13. On May 24, he returned to North America on a flight from Prague to Montreal and entered the U.S. by car. While it is not certain that passengers and crew on board the flights were infected, the CDC recommended that passengers and crew on those flights be tested for TB infection. Particularly those seated within two rows of the infected man are at greatest risk for infection. After his return to the U.S., the man cooperated with authorities and voluntarily entered a hospital in Atlanta and was placed in respiratory isolation to prevent spread of the infection. 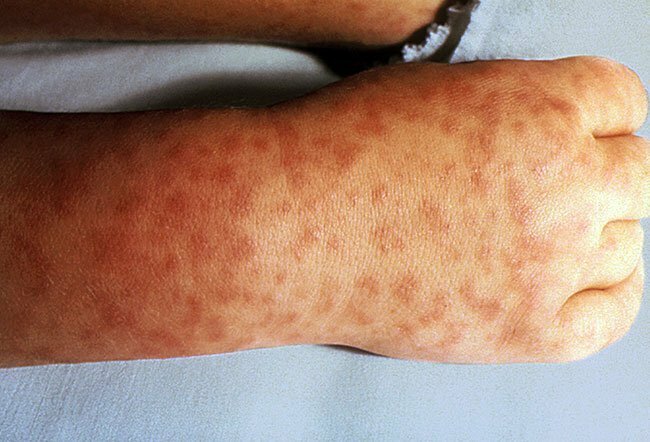 This event marked the first time since 1963, when a patient with smallpox was quarantined, that the CDC issued this type of isolation order. Avoid close contact or prolonged time with known TB patients in crowded, enclosed environments like clinics, hospitals, prisons, or homeless shelters. There is a vaccine for TB disease called Bacille Calmette-Guerin (BCG). It is used in some countries to prevent severe forms of TB in children. However, BCG is not generally recommended in the United States because it has limited effectiveness for preventing TB in adults. The effect of BCG against XDR TB would likely be similar to the effect on drug-susceptible TB. The most important thing is for you to continue taking all your TB medicines exactly as prescribed. No doses should be missed and treatment should not be stopped early. You should tell your health care provider if you are having trouble taking the medications. If you plan to travel, make sure you have enough medicine to last while away. Yes, in some cases. Some TB control programs have shown that cure is possible for an estimated 30% of affected people. Successful outcomes depend greatly on the extent of the drug resistance, the severity of the disease, and whether the patient's immune system is weakened. The general symptoms of TB disease include feelings of sickness or weakness, weight loss, fever, and night sweats. The symptoms of TB disease of the lungs may also include coughing, chest pain, and coughing up blood. Symptoms of TB disease in other parts of the body depend on the area affected. If you have these symptoms, you should contact your doctor or local health department. If you think you have been exposed to someone with TB disease, you should contact your doctor or local health department about getting a TB skin test or the QuantiFERON®-TB Gold test (QFT-G), a blood test. And tell the doctor or nurse when you spent time with this person. If TB bacteria are found in the sputum (phlegm), the diagnosis of TB can be made in a day or two, but this finding will not be able to distinguish between drug-susceptible (regular) TB and drug-resistant TB. 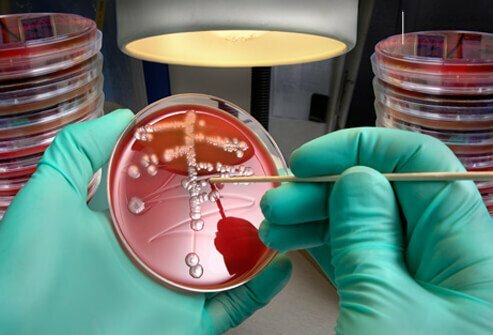 To determine drug susceptibility, the bacteria need to be grown and tested in a laboratory. Final diagnosis for TB, and especially for XDR TB, may take from 6 to 16 weeks. The risk of acquiring XDR TB in the United States appears to be relatively low. However, it is important to acknowledge the ease at which TB can spread. As long as XDR TB exists, the United States is at risk and must address the threat. In the United States, 49 cases of XDR TB have been reported between 1993 and 2006. Although MDR and XDR TB are occurring globally, they are still rare. HIV-infected travelers are at greatest risk if they come in contact with a person with MDR or XDR TB. All travelers should avoid high risk settings where there are no infection control measures in place. Documented places where transmission has occurred include crowded hospitals, prisons, homeless shelters, and other settings where susceptible persons come in contact with persons with TB disease. Air travel itself carries a relatively low risk of infection with TB of any kind. Health care providers can help prevent MDR and XDR TB by quickly diagnosing cases, following recommended treatment guidelines, monitoring patients' response to treatment, and making sure therapy is completed. Providers should also ensure proper implementation of infection control procedures to prevent exposure to TB in hospitals or health-care settings where TB patients are likely to be seen. Persons applying to enter the U.S. with immigrant or refugee visas must complete a questionnaire about any symptoms of TB they may have and obtain a chest radiograph. If positive, the person submits sputum specimens for examination for TB bacteria. Persons identified as having infectious TB are not granted entry to the United States, until they have been treated. For some years we have seen isolated cases of very highly resistant TB around the world that we would today call XDR TB. The drugs used to treat TB have been around a long time and drug resistance has taken many years to develop. Over time, countries have improved their laboratory capacity to test for drug resistance and their ability to track the number of cases. All of these factors have contributed to an increase in reporting of cases of drug-resistant TB. With more cases being identified, the problem was more closely examined, defined, and given a name. Please discuss your concerns about getting extensively drug-resistant tuberculosis (XDR TB). Have you ever been tested for TB or XDR TB? What was the diagnosis? Please share your experience. Has fear of XDR TB ever curtailed your travel plans? Please share your story. Amikacin sulfate (Amikin) is an antibiotic injection prescribed to treat bacterial meningitis, infected burns, cystic fibrosis, and severe UTI infections. Side effects, drug interactions, dosage, storage, and pregnancy safety information should be reviewed prior to using this medication. Bioterrorism is a form of terrorism where there is the intentional release of biological agents such as viruses, germs, or bacteria. Diseases caused by bioterrorism agents include anthrax, botulism, plague, smallpox, tularemia, brucellosis, food poisoning, Q fever, ricin toxin poisoning, cholera, epidemic typhus, viral encephalitis, XDR TB, and MDR TB. Cipro, generic name ciprofloxacin, is an antibiotic that belongs to a class of antibiotics called fluoroquinolones, prescribed for the treatment a variety of bacterial infections. Flagyl, generic name metronidazole, is an antibiotic prescribed for the treatment of parasites and anaerobic bacteria. Cipro and Flagyl have the same common side effects like rash, headache, abdominal cramps and/or pain, diarrhea, nausea, and vomiting. Nerve pain (peripheral neuropathy) and seizures are serious side effects of both Cipro and Flagyl. Cipro may cause rupture of the Achilles tendon. Cipro may cause a rare allergic reaction called anaphylaxis or shock. Symptoms of shock include shortness of breath, hives, itching, and cardiovascular collapse. Examples of side effects unique to Flagyl are dizziness, constipation, vaginal dryness, furry tongue, dry mouth, and loss of appetite. Neither Cipro or Flagyl are recommended during pregnancy or while breastfeeding. Pleurisy or pleuritis is an inflammation of the lining around the lungs. Some of the causes of pleurisy include TB, the flu, heart attack, some forms of arthritis, and lupus. The treatment for pleurisy is generally aimed at the underlying cause of pleurisy. Mycobacterium tuberculosis causes tuberculosis (TB). TB may be transmitted when an infected person sings, sneezes, coughs, or talks. TB symptoms and signs include coughing bloody sputum, night sweats, severe cough, fever, chills, fatigue, and weight loss. Isoniazid is a medication prescribed to prevent active tuberculosis (TB) in individuals who have an abnormal skin test for TB, and is used in combination with other drugs to treat active TB. Side effects, drug interactions, and pregnancy and breastfeeding safety should be reviewed prior to taking this medication. Learn more about the side effects, uses, dosage, and pregnancy safety information for this antibiotic.